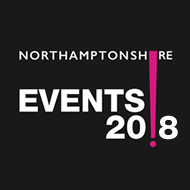 The pub is situated in the heart of the Northamptonshire countryside 2 miles from Althorp House, the ancestral home of Diana, Princess of Wales. Built in the 17th century from local Northamptonshire stone our bar boasts original beams and wooden floors – a traditional village inn with character and charm (and yes, that is a working red telephone box in the corner). We are a privately owned and run free house with a selection of well kept cask ales and lagers plus an extensive wine list.